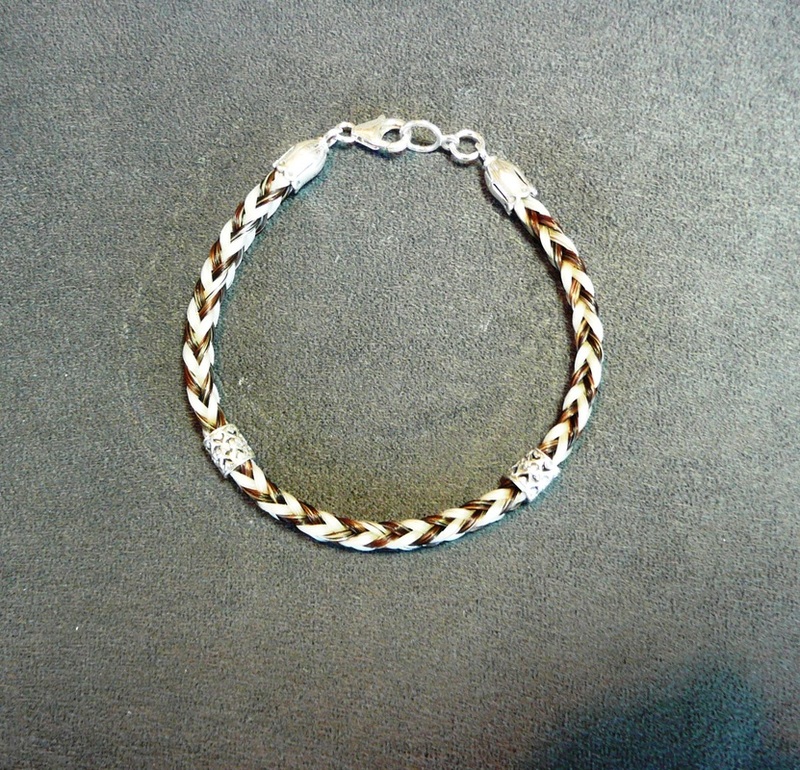 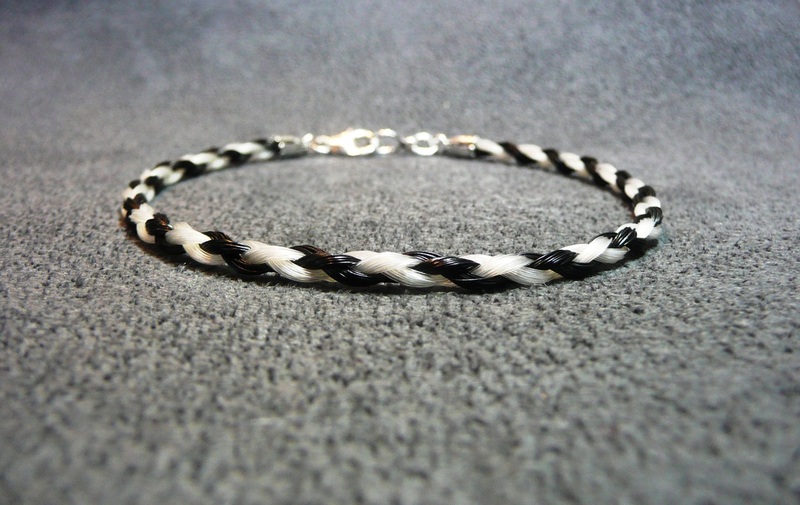 A pinkies diameter (about 1/2") of the longest available hair (at least 14") is required for a braided bracelet. 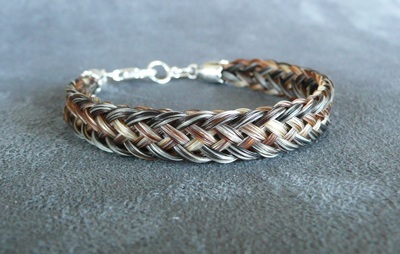 Round braids work great for bracelets. 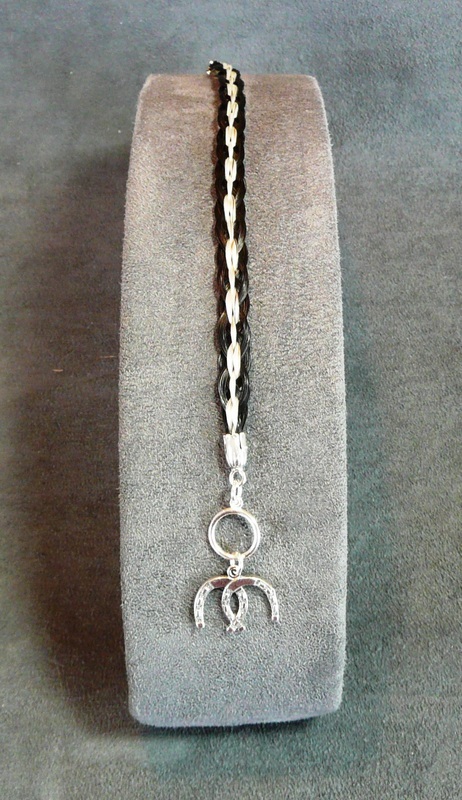 Toggle clasps or claw clasps may be used and extensions may be added to the claw clasp to make the piece adjustable. 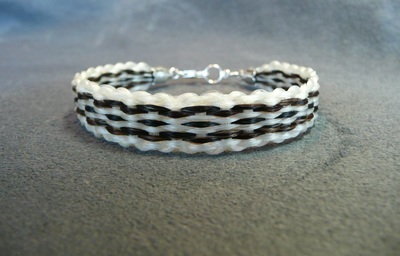 Nice tight braid that can be used with all beads available. 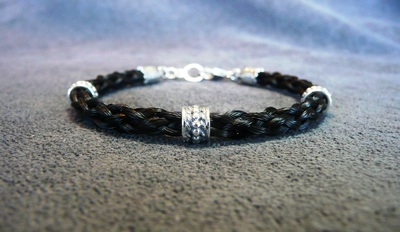 Approximately 3mm without beads. 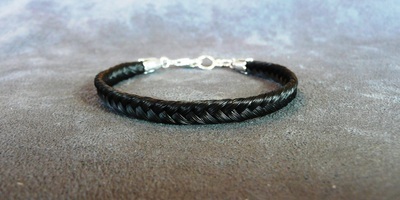 Medium tight braid great for bracelets. 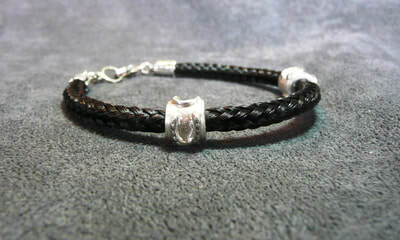 Beads with a hole size at least 4mm can be used. 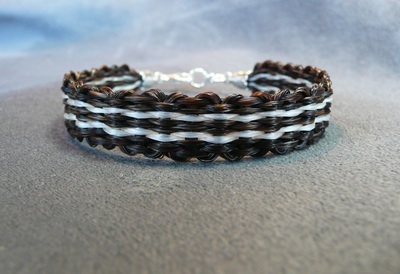 Approximately 4mm without beads. Medium tight braid great for bracelets. 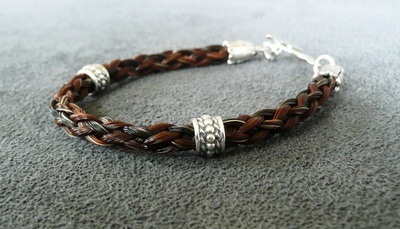 Beads with a hole size at least 3.5mm can be used. 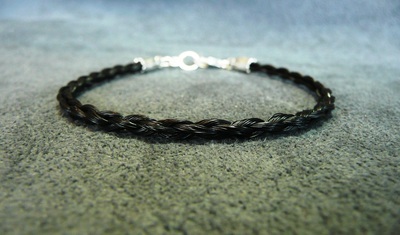 Approximately 3mm without beads. 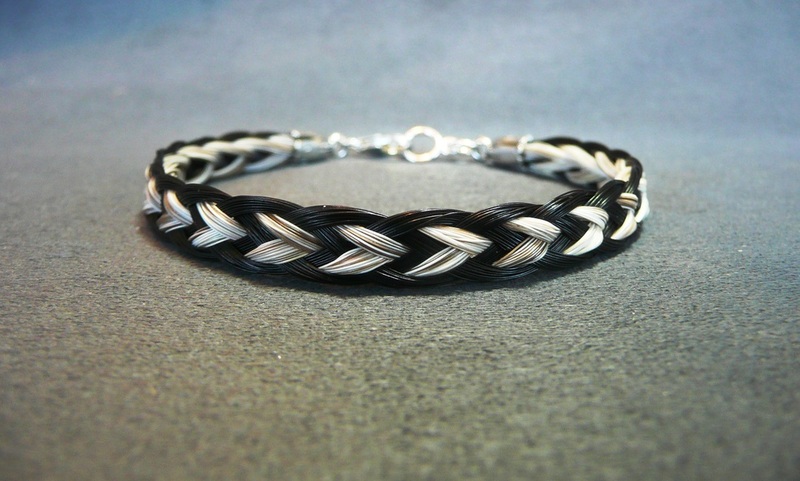 Very tight braid great for bracelets. 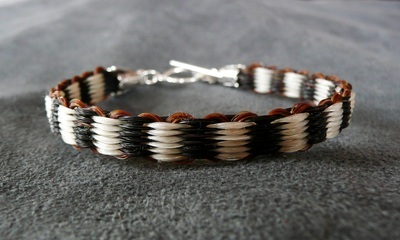 Beads with a hole size at least 4mm can be used. 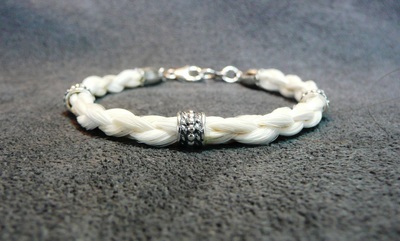 Approximately 4mm without beads. 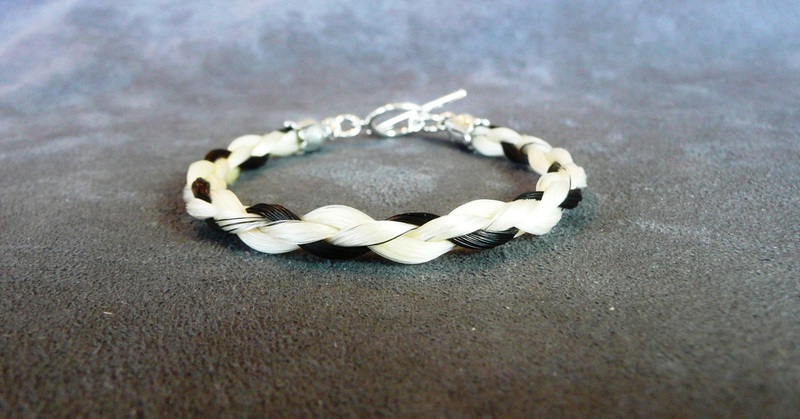 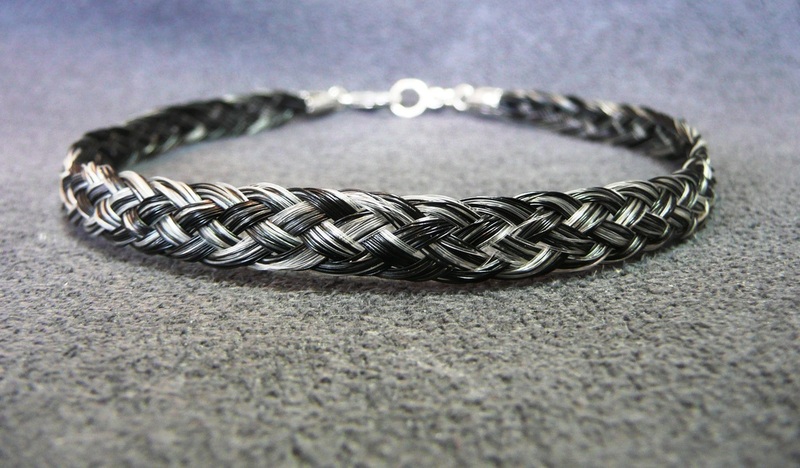 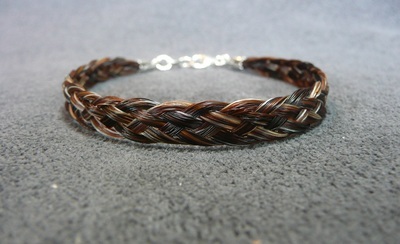 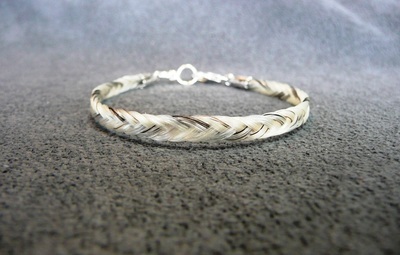 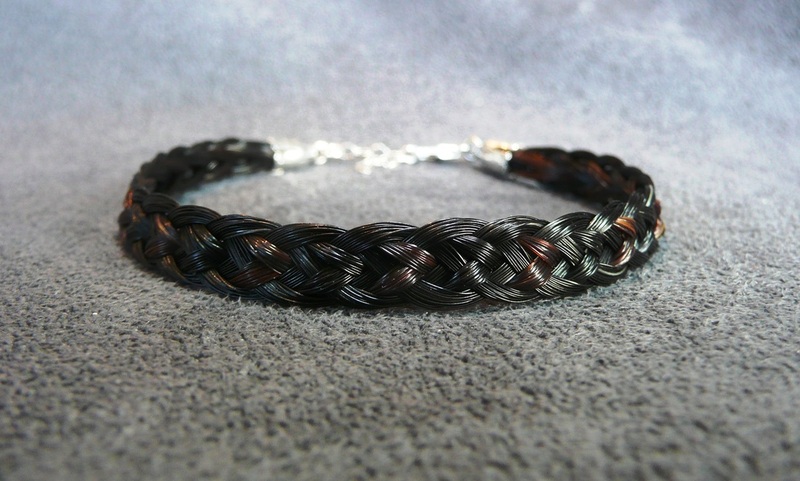 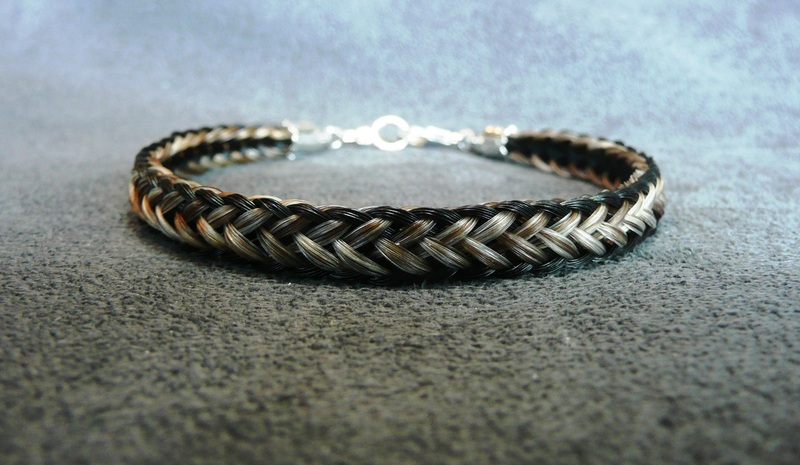 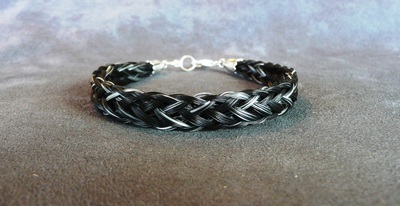 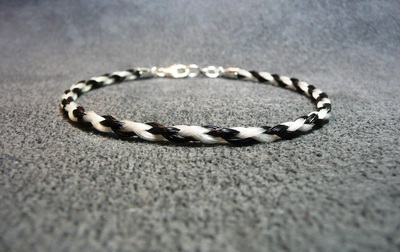 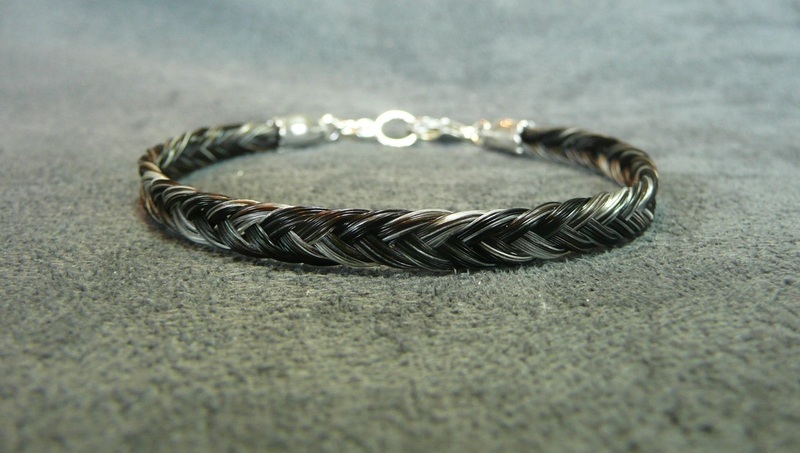 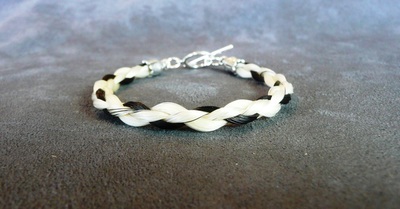 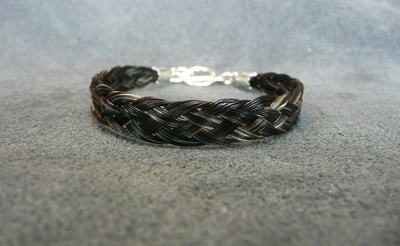 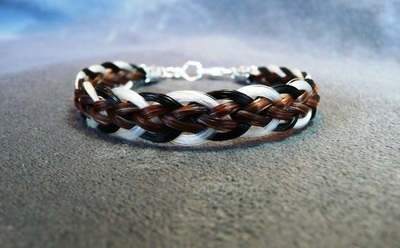 *TsED Favorite* Very tight braid great for bracelets. 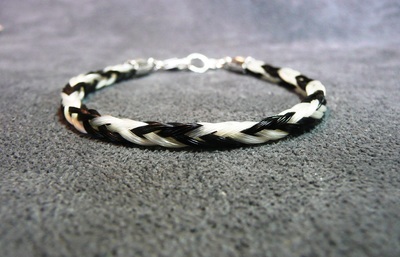 Beads with a hole size at least 4.5mm can be used. 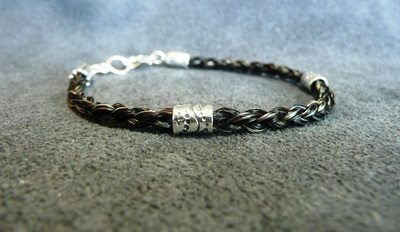 Approximately 5mm without beads. Hair received needs to be AT LEAST 14" for this braid. 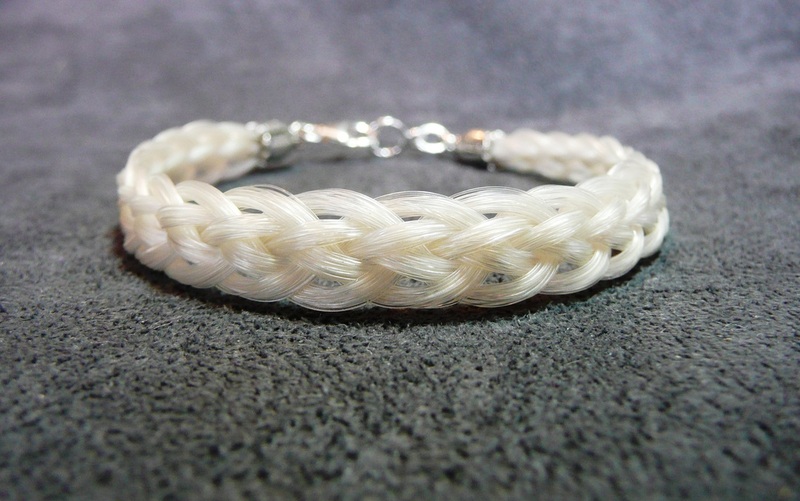 Flat braids are beautiful for bracelets. Toggle clasps or claw clasps may be used and extensions may be added to the claw clasp to make the piece adjustable. 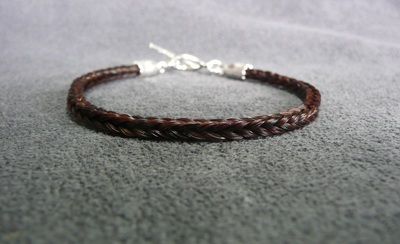 Nice thin tight braid great for bracelets. 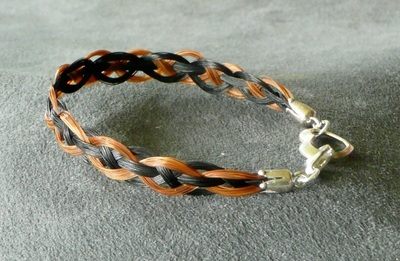 Approximately 3mm wide. 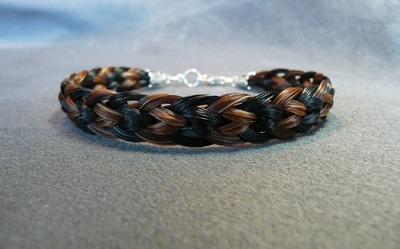 Beads will not work on this braid. 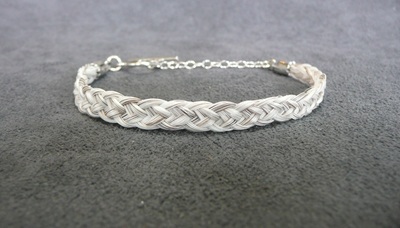 Nice thin tight braid great for bracelets and necklaces. Approximately 4mm wide. 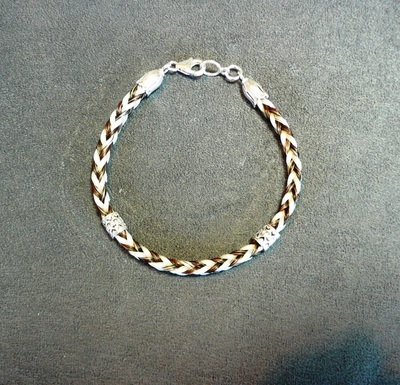 Beads will not fit on this braid. 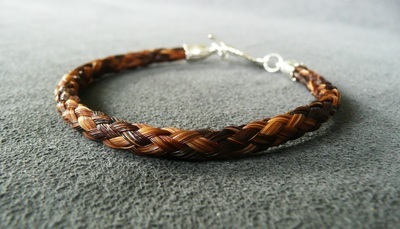 Thin loose braid great for bracelets. 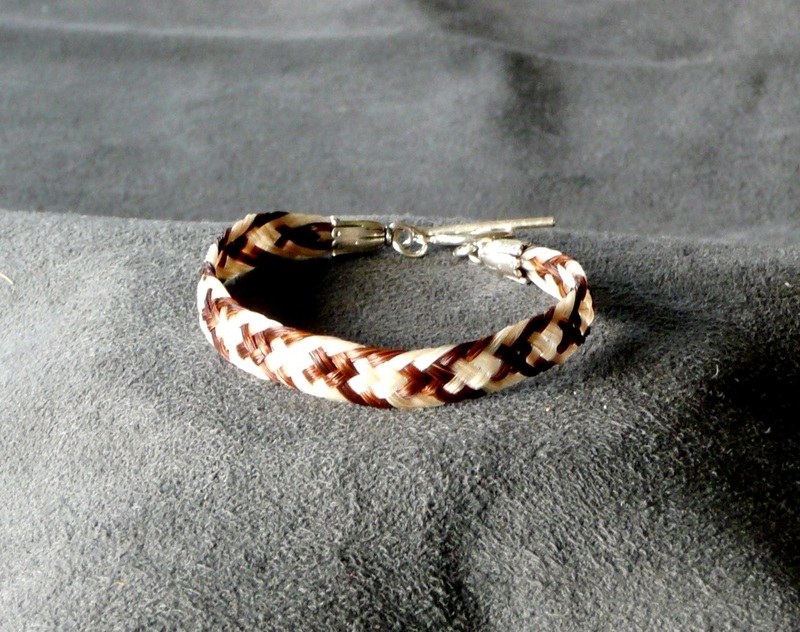 Approximately 5mm wide. 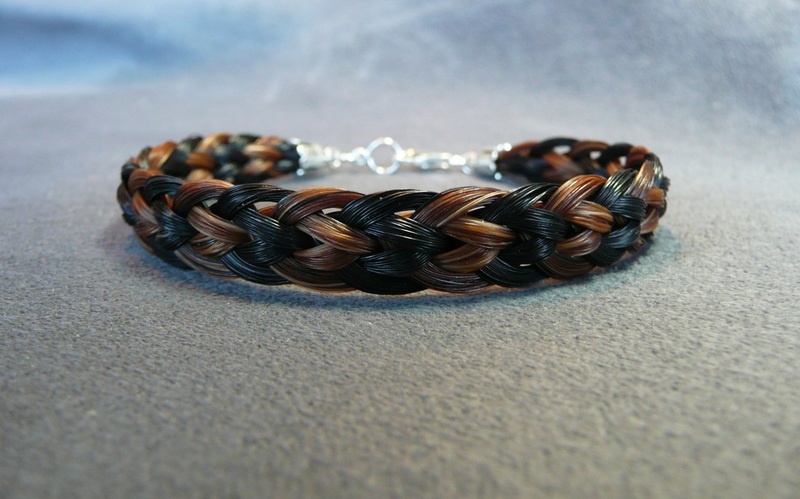 Beads do not work on this braid. 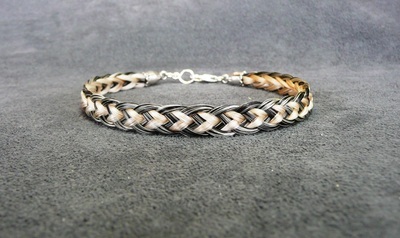 Tight Braid great for bracelets. 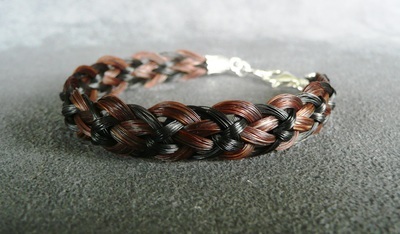 Approximately 8mm wide. 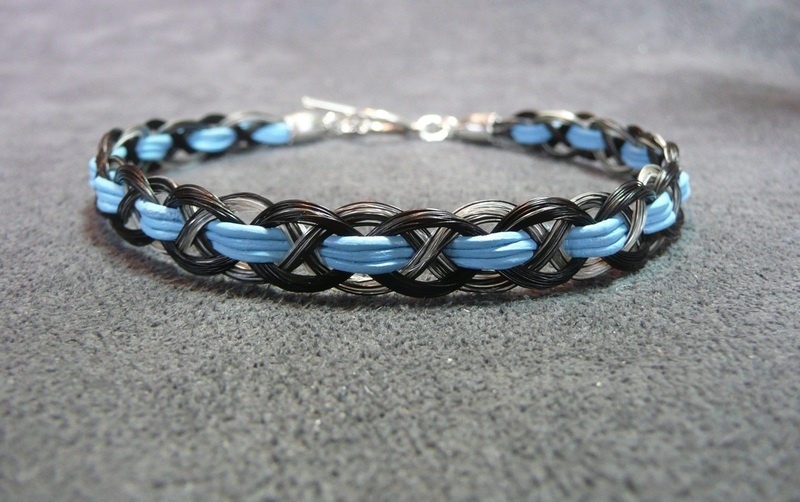 Can not be used with beads. 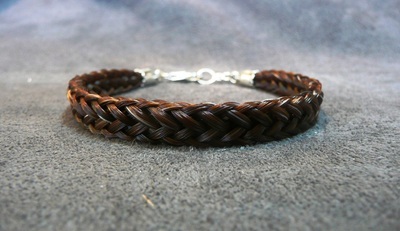 Medium tight braid great for bracelets. 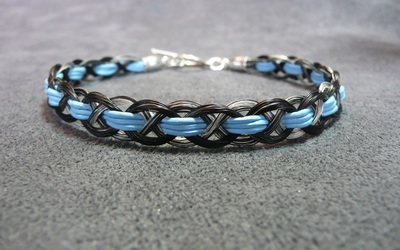 Approximately 8mm wide. 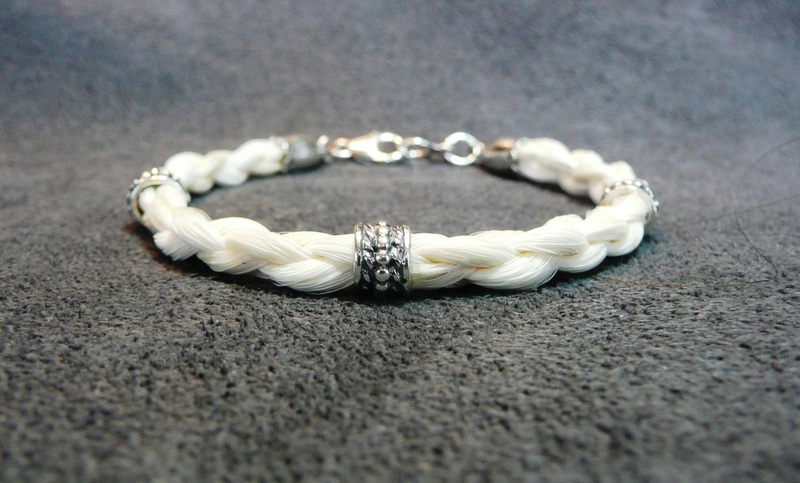 Beads will not fit on this braid. 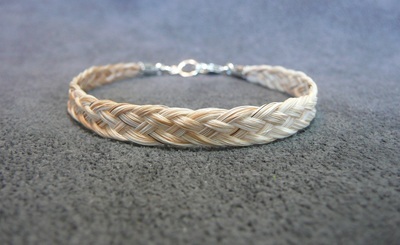 Tight medium wide braid great for bracelets. 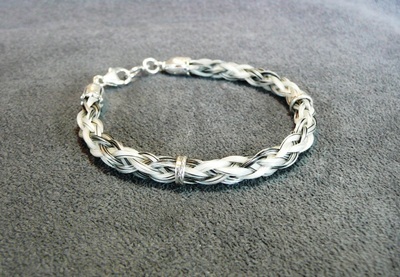 Approximately 10mm wide. 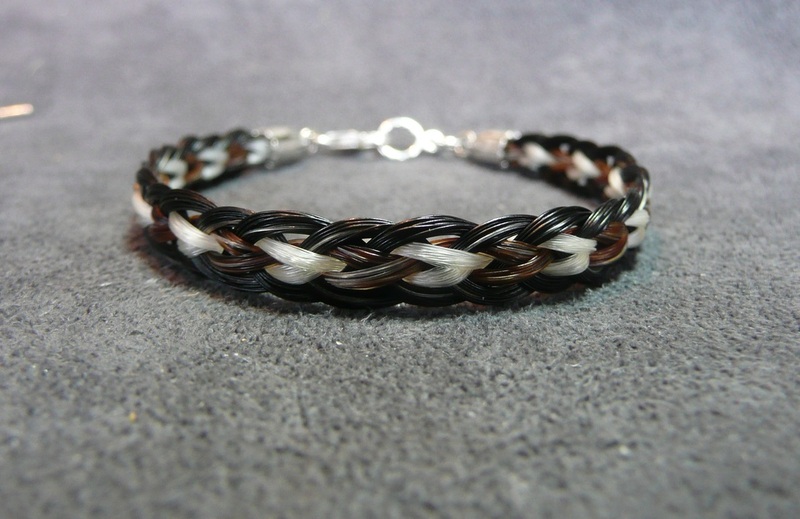 Can not be used with beads. 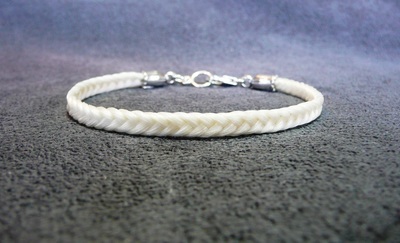 Very tight medium wide braid great for bracelets. 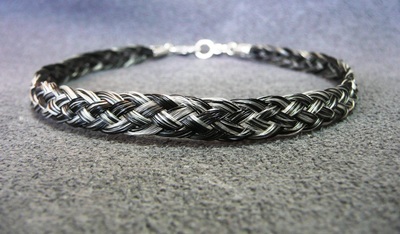 Approximately 10mm wide. 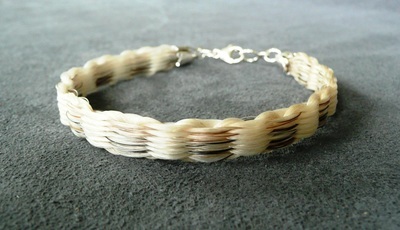 Can not be used for necklaces or with beads. Tight medium wide braid great for bracelets. 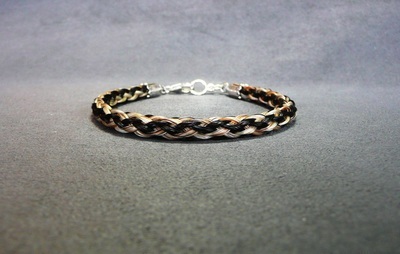 Approximately 9mm wide. Can not be used for necklaces or with beads. 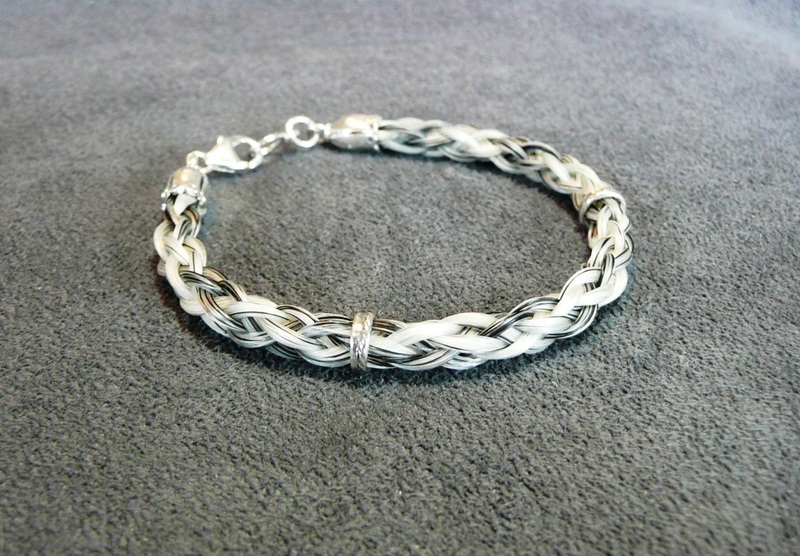 These beautiful bracelets are solid Sterling Silver with hair "Jewels". Bracelets measure 2-1/4" but are easily adjustable. Jewel is 12mm x 12mm. This bracelet is made with cat hair. 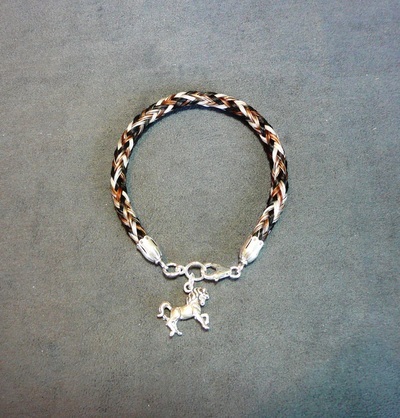 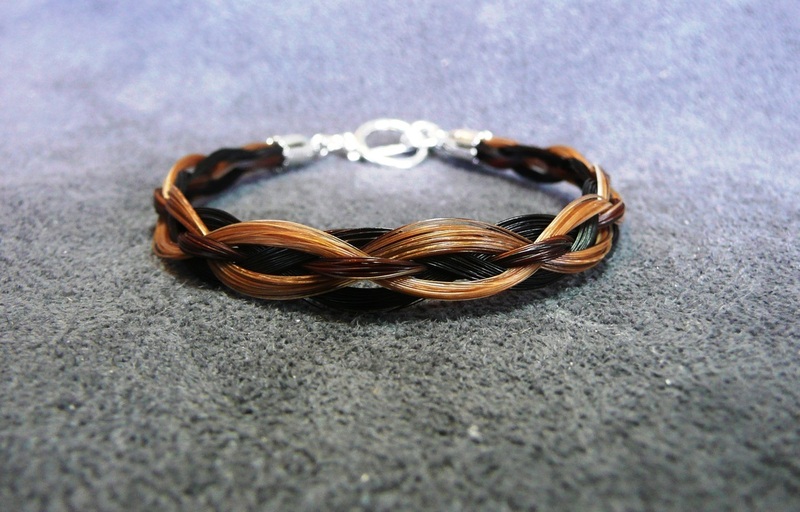 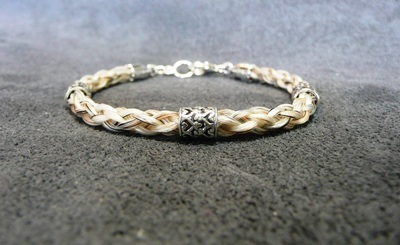 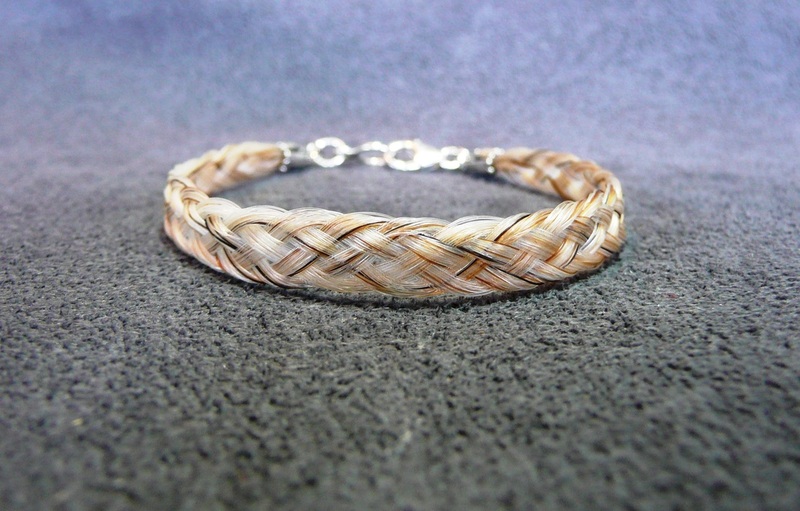 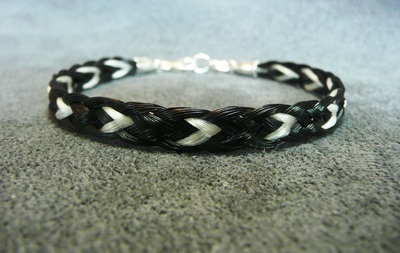 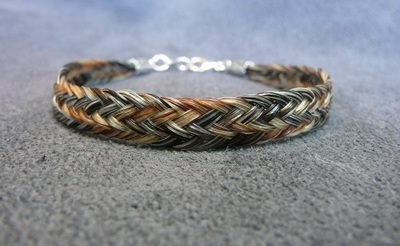 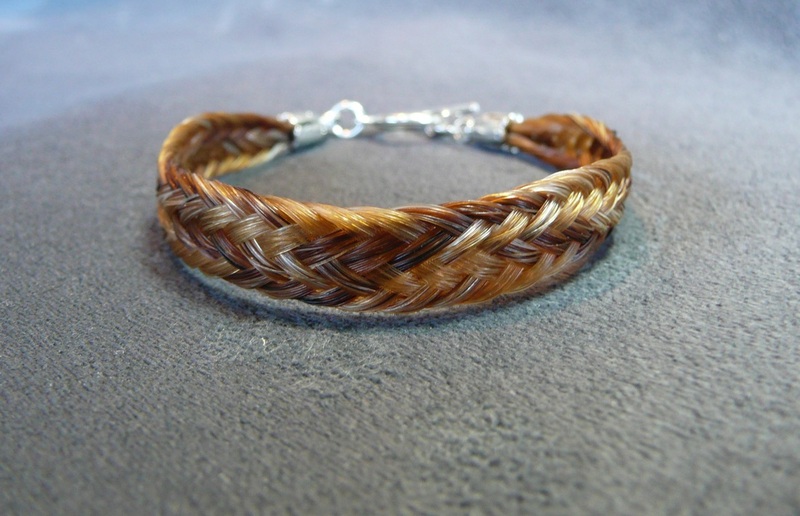 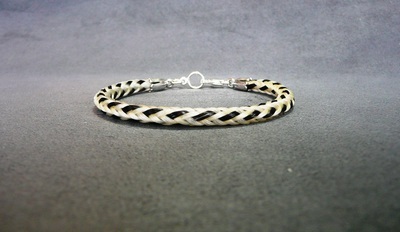 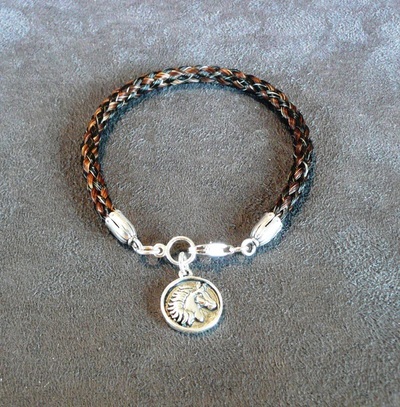 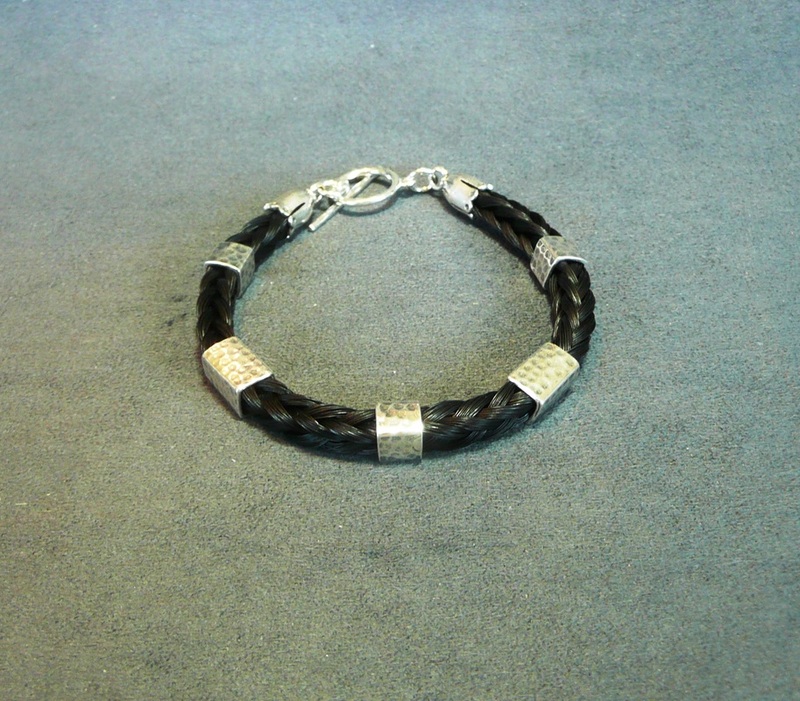 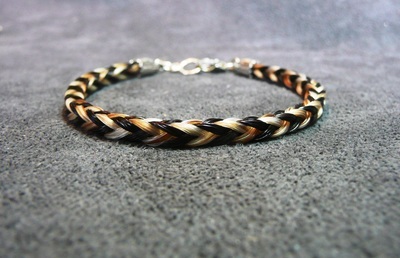 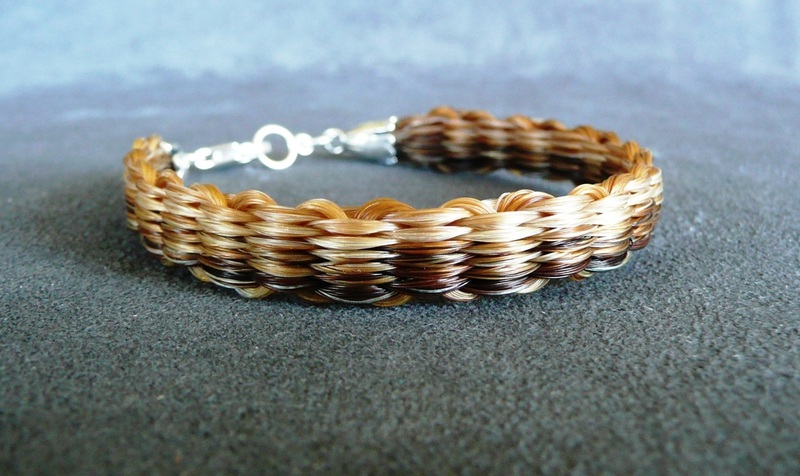 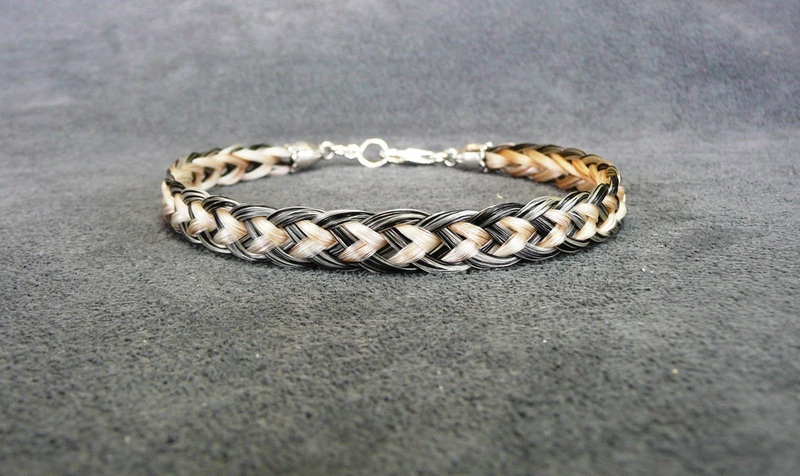 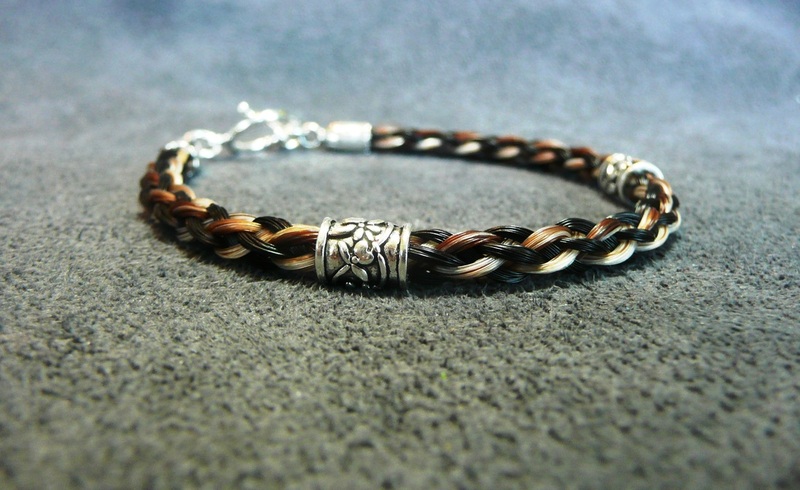 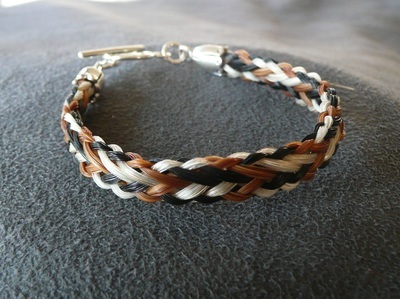 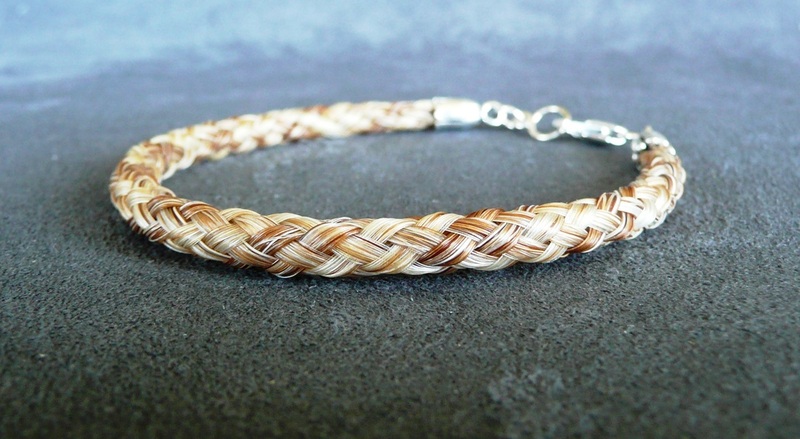 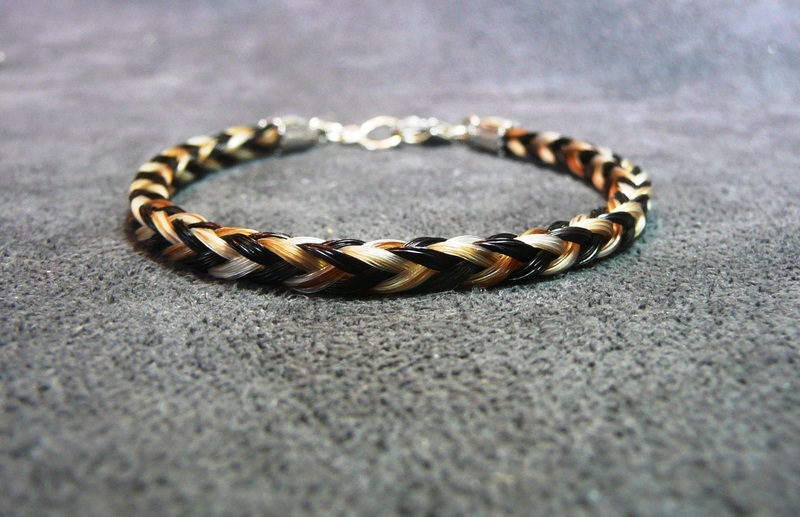 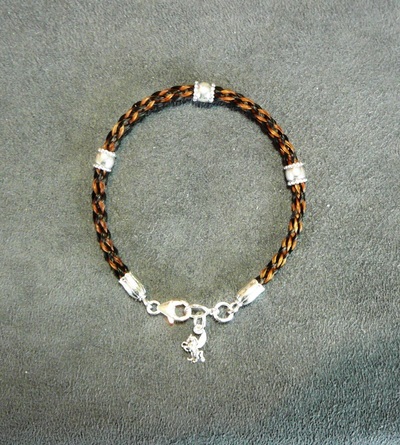 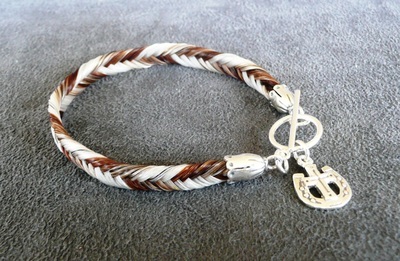 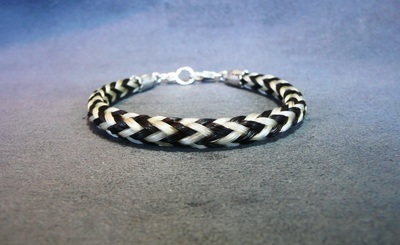 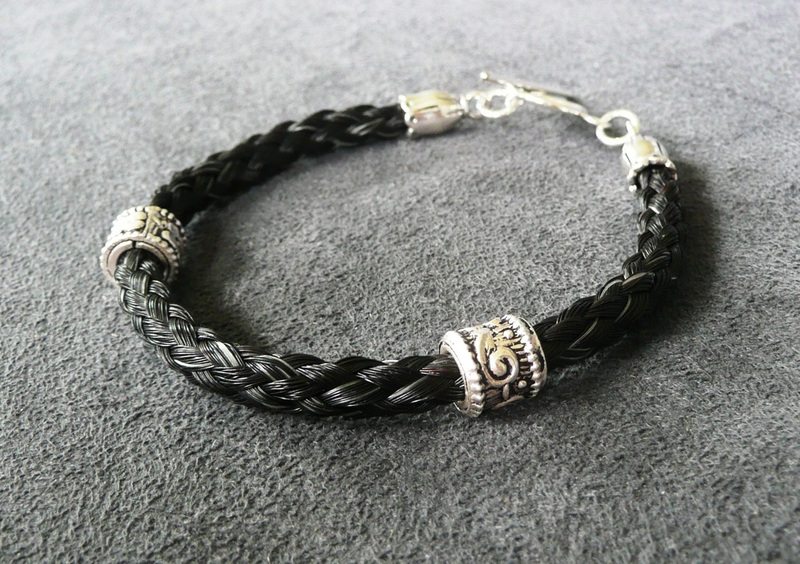 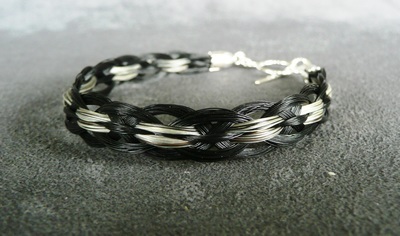 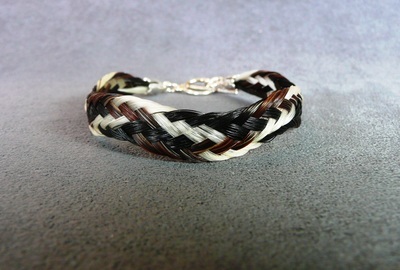 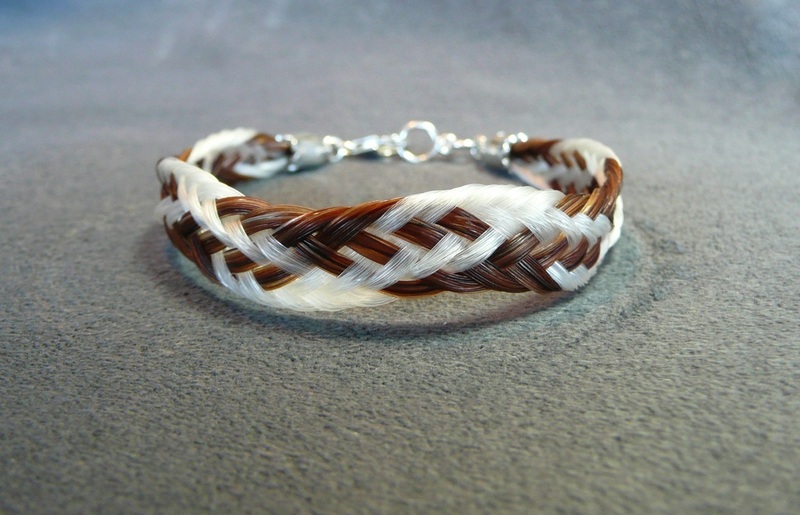 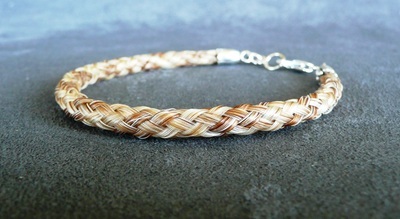 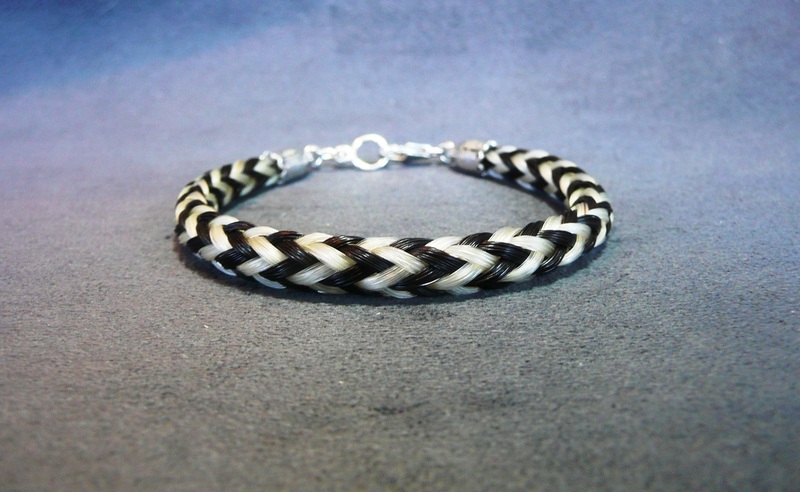 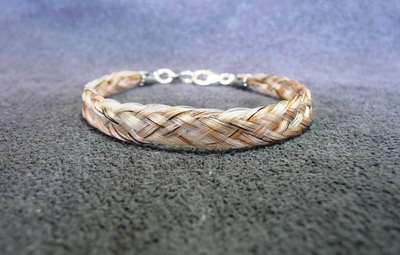 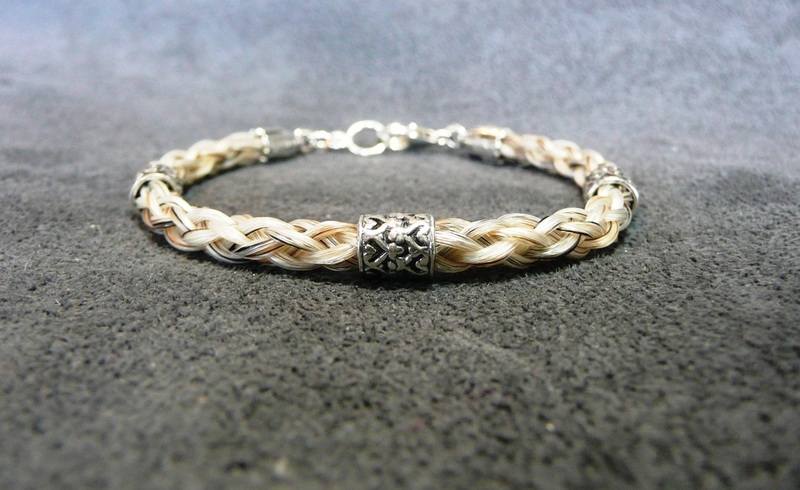 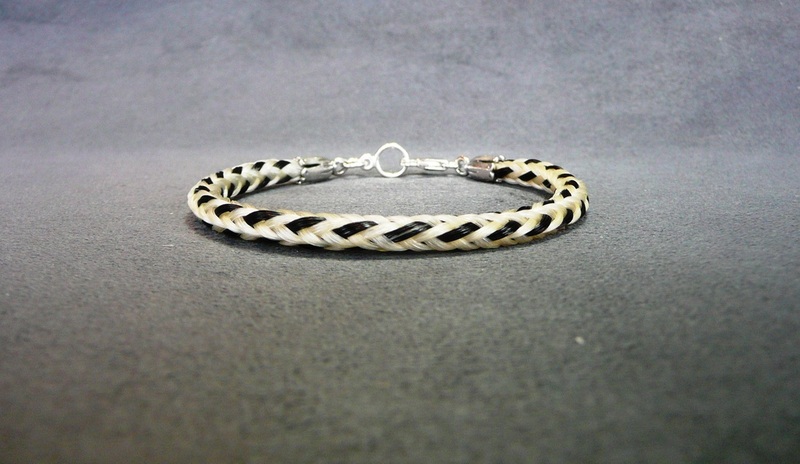 These bracelets are made with a flat weave braid which is inlaid in leather. 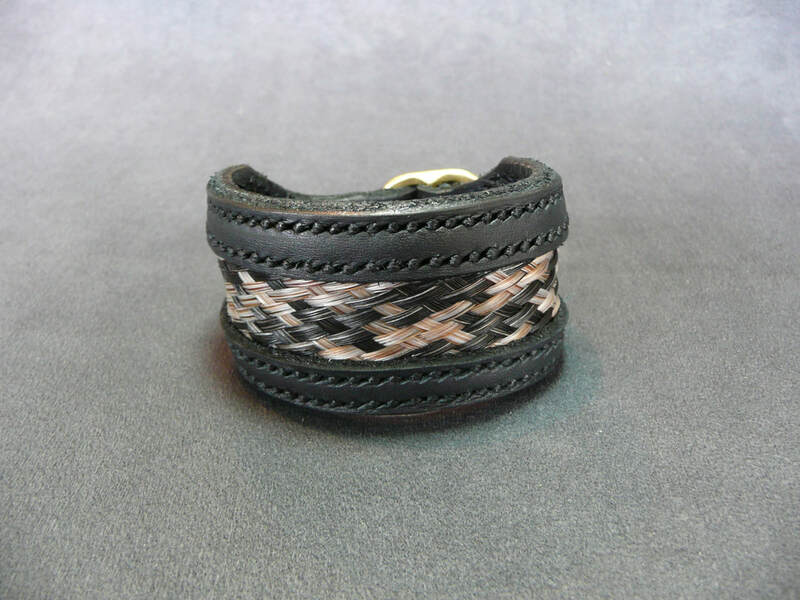 All leather work is hand stitched. 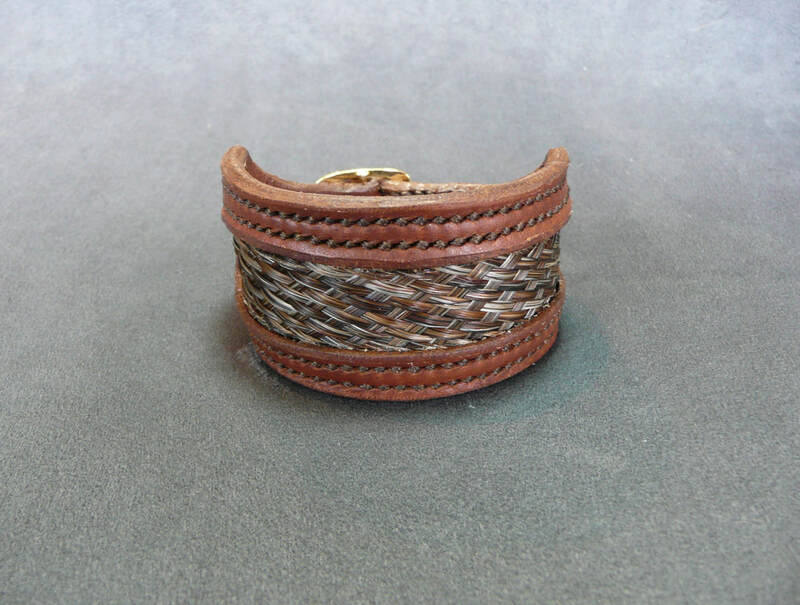 Specify brown or black leather and nickle or brass buckle.